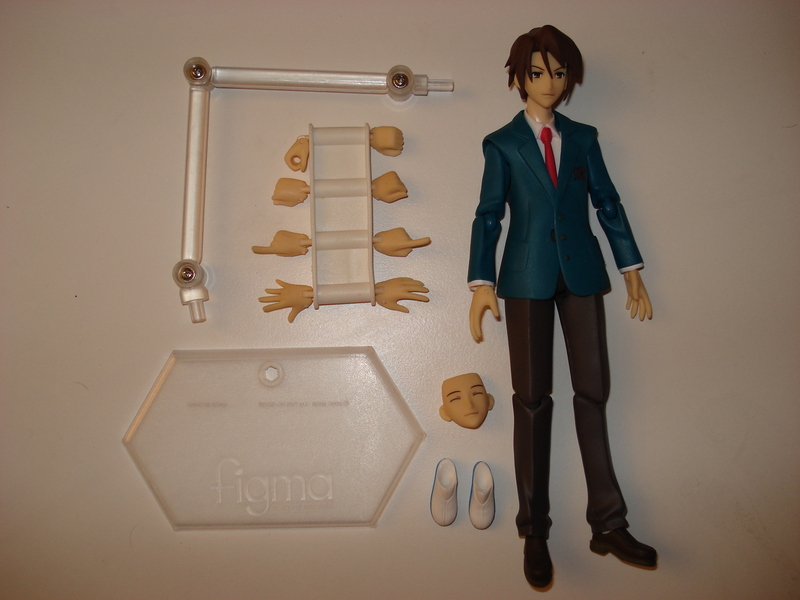 Koizumi comes with the exact set of accessories that Kyon has MINUS the camera. Basically, He has the worst set of accessories of all the figma so far. The bonus accessory that he comes with that I mentioned in my last figma review is the backdrop from the Hare Hare Yukai ending video. Honestly, this set is so pathetic that I won’t even bother going into pros and cons. 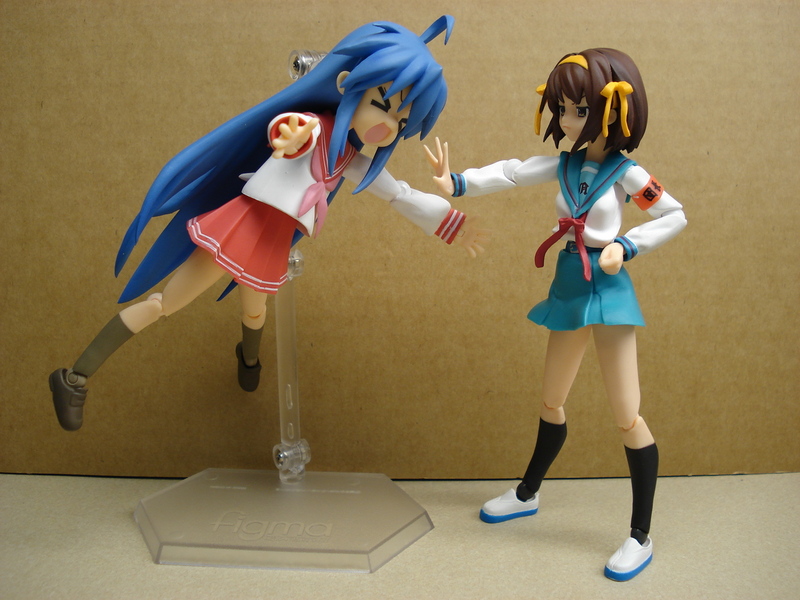 It’s just not worth it unless you plan on doing the whole Hare Hare Yukai thing with all your figmas. His body can’t even be used with the Taniguchi head that’s supposed to come with the Asakura figma in November, since Koizumi keeps his jacket buttoned. 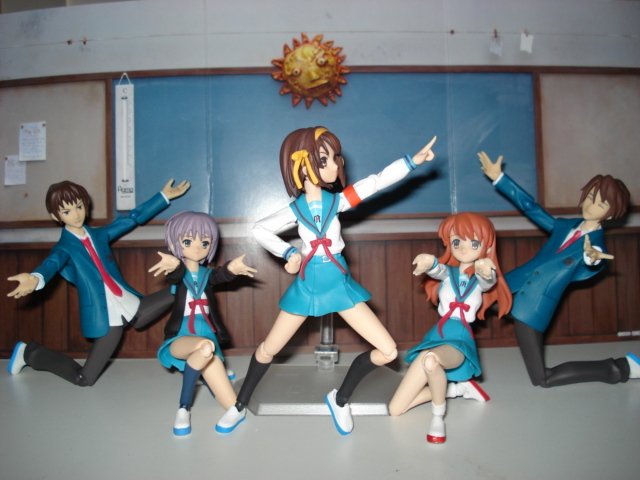 The only figma body that’ll work for Taniguchi is Kyon. Now don’t fret, my friends, I’m not leaving you hanging with this incredibly lacking review. The real meat of this review is coming up! 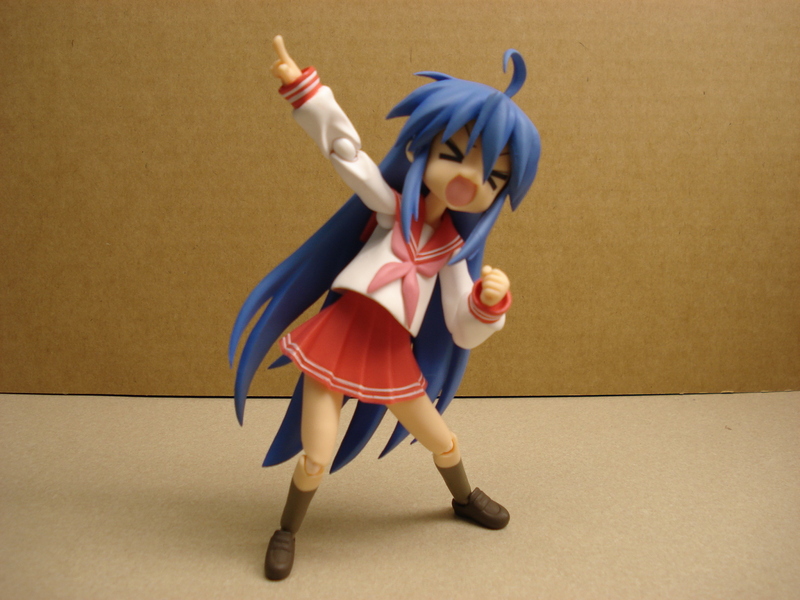 It’s Izumi Konata, the wacky otaku girl from the hit series Lucky ☆ Star (らき☆すた) Konata is the first of a series of figma from this series. 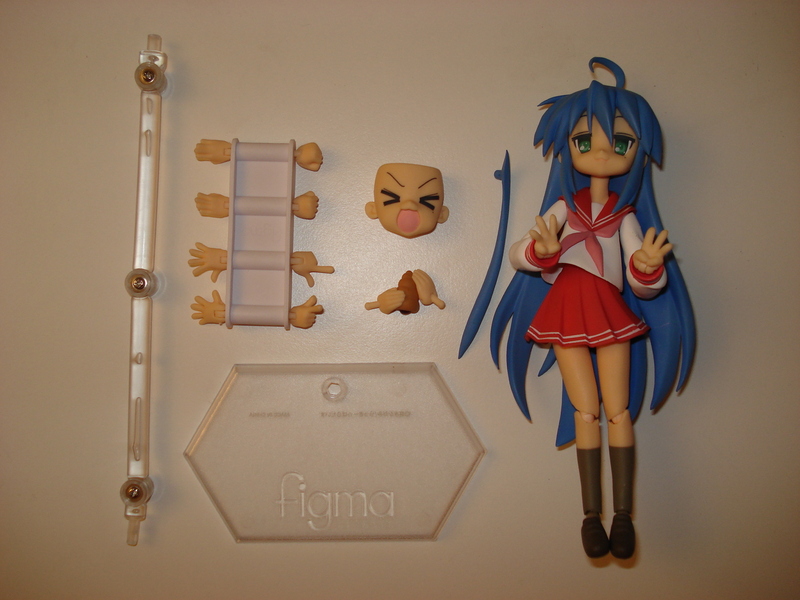 Standard figma accessories include the 3 joint stand and base and the figma bag. 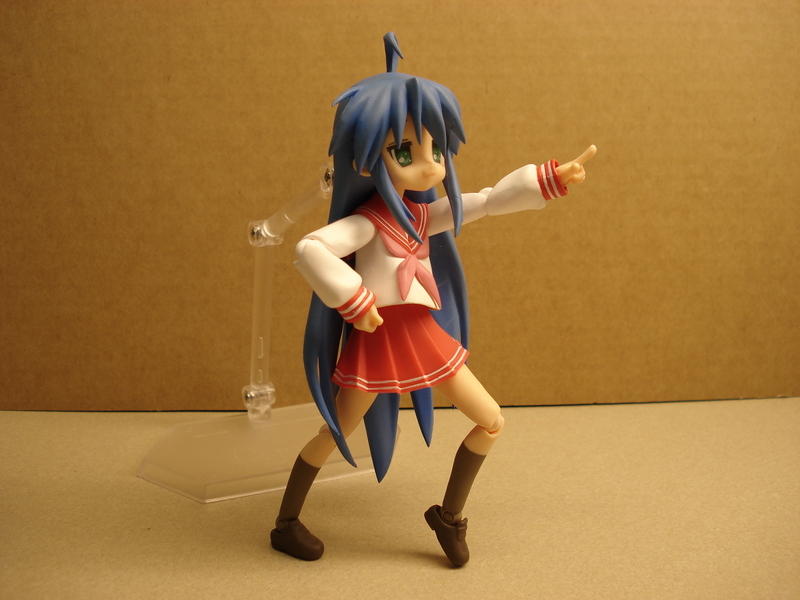 The Lucky Star figma come with a different set of hands than the other figmas because of the way they are drawn. 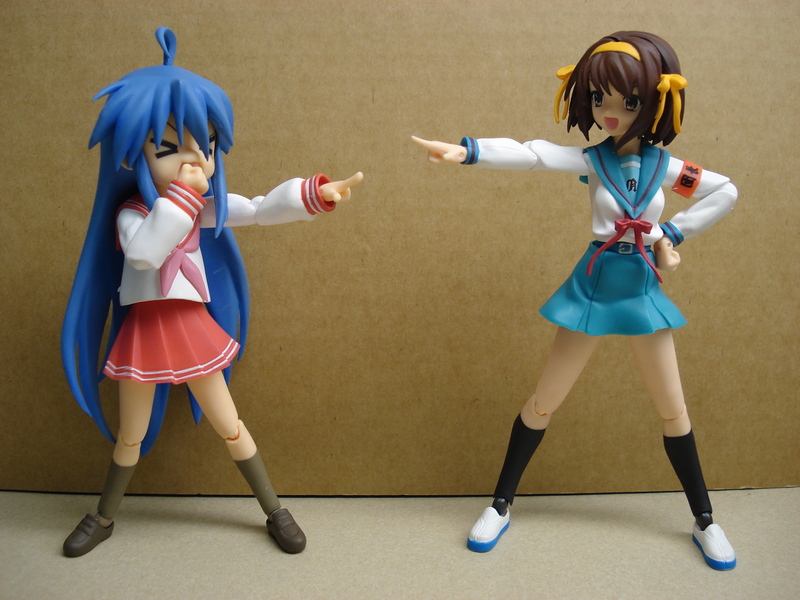 They have slightly fatter figmas and are shorter than the other figmas. 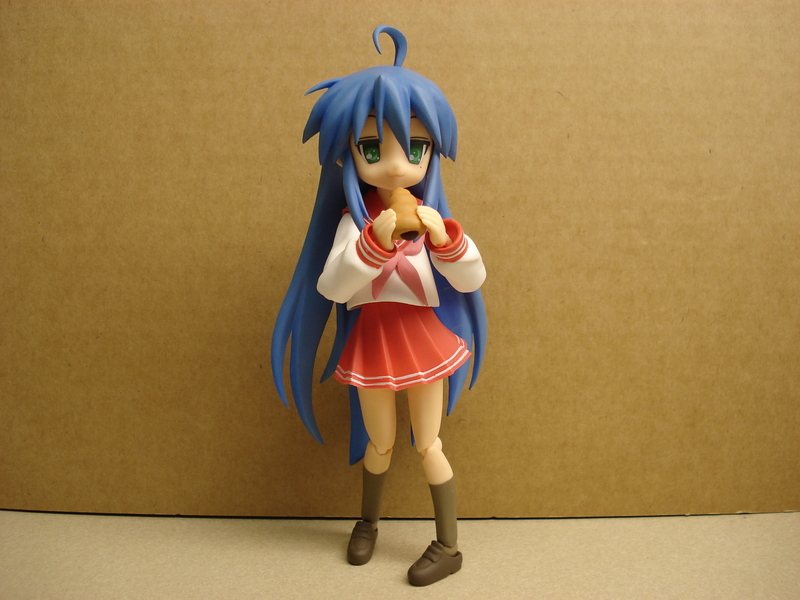 Unfortunately, Konata will never be able to hold any of the other accessories because she doesn’t come with a fist with a hole in it. The set includes a regular fist, a finger pointing, a palm with fingers spread, and a palm with the fingers together. 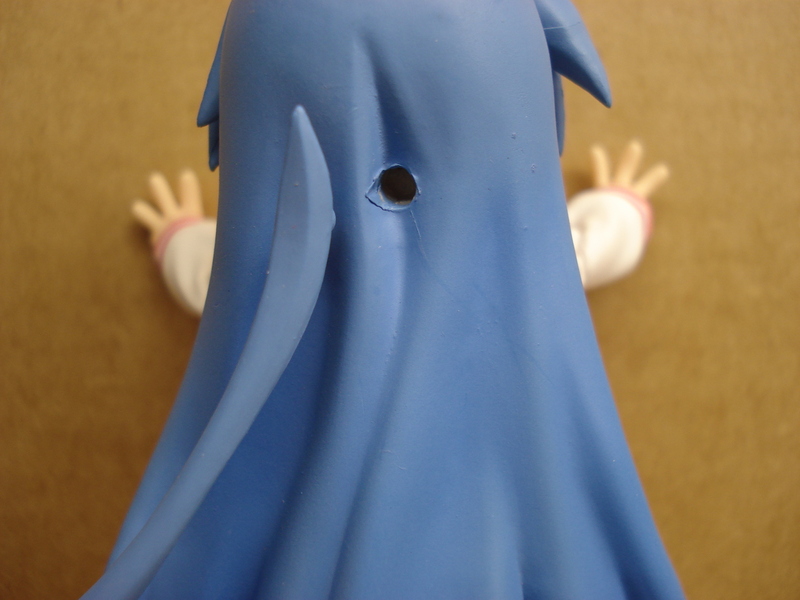 Konata comes equipped with the fingers in a ‘3’ configuration from the opening movie. She also comes with a right hand connected to a chocolate coronet and accompanying left hand. 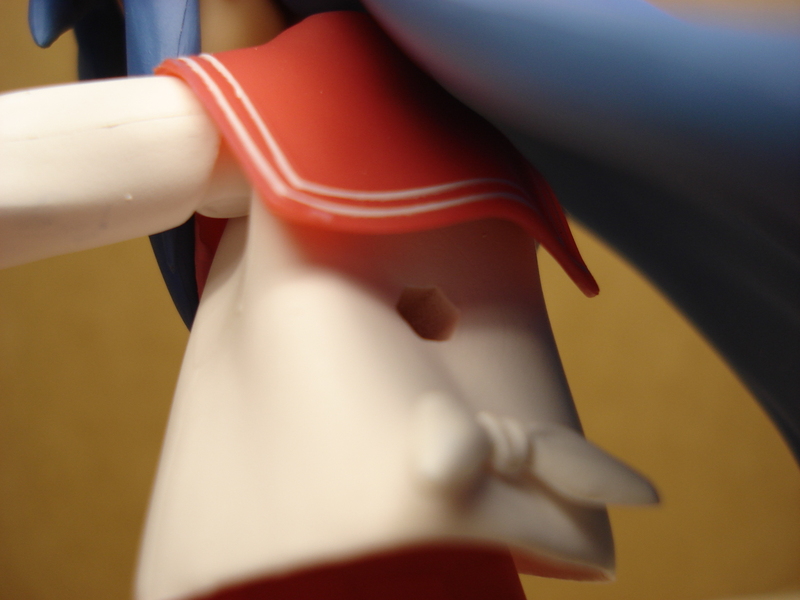 She also comes with a >o< face, and a strand of hair for the hole in her head. Pros: The >o< face is awesome. 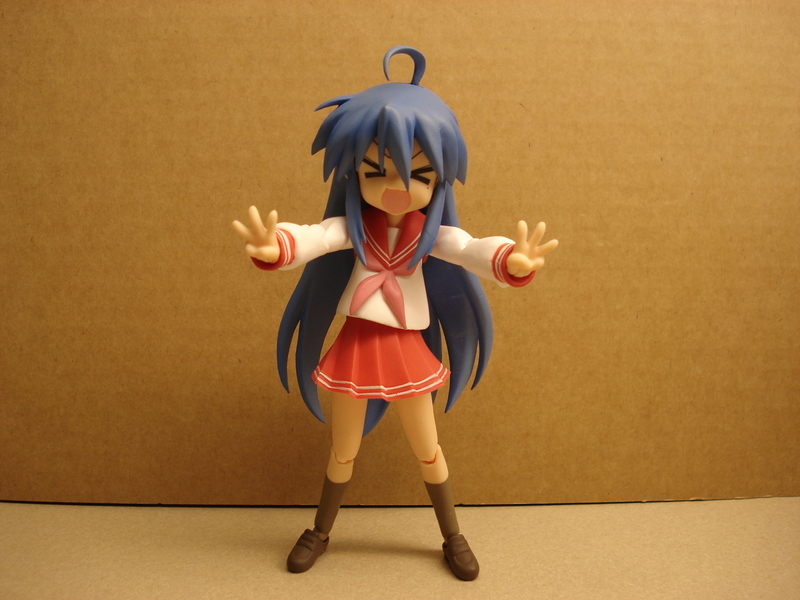 So perfect for Konata. Even with the lack of accessories, she’s pretty fun to pose. Cons: Lack of accessories. The hair, oh god, the hair. Makes it so hard to pose her with her head turned or looking up. 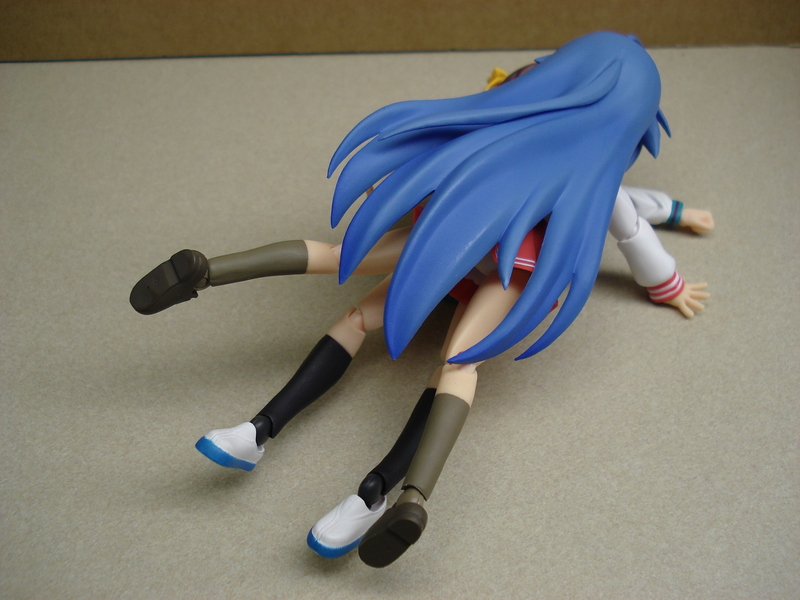 Koizumi and Konata will set you back around $25-30 each. @Death: If you’re talking about the SOS-dan background, it came folded in the figma box with Koizumi. I’m not sure what you mean by a KNC special though. Thanks so much for these reviews. 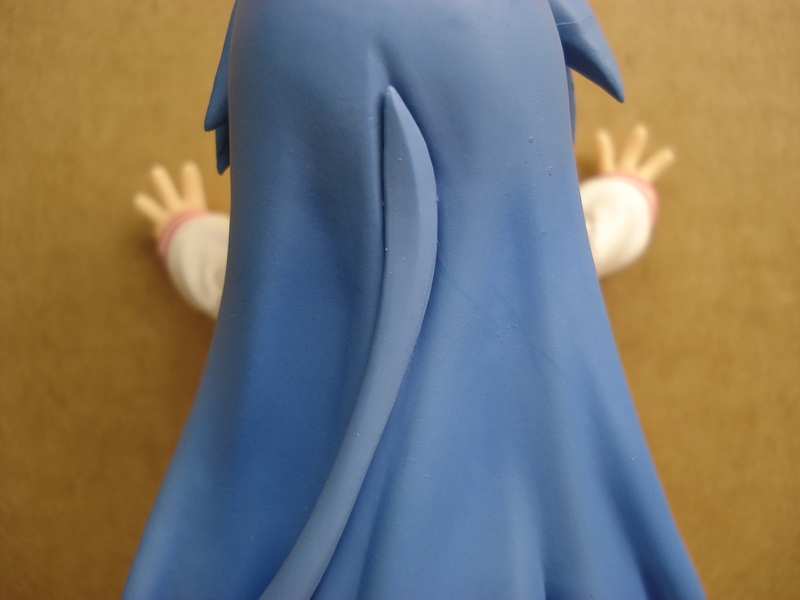 It really helps, so at least when I get a figma and I get doubtful I can go straight here. I love the fact that you show ALL the things that came with the figma. It makes it easier for me to check it out and all. 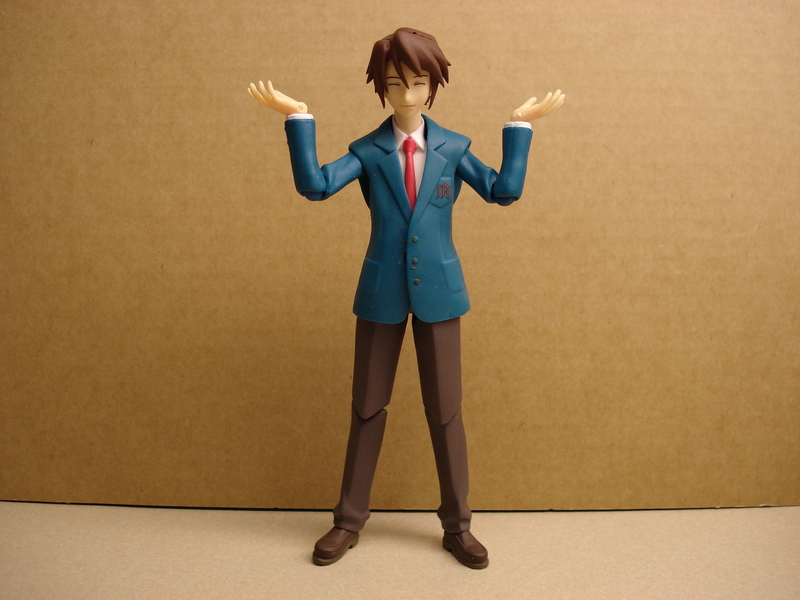 When you bought Koizumi he came with the set or you had to get the KNC special that included Mikuru?